Stellar Four: Happy Birthday Jack Skellington! I will never forget seeing The Nightmare Before Christmas for the first time. It was November 19th, 1993 and I was a mere eight years old. My grandmother, who lived in Florida, was trying desperately to reach our home in New York for Thanksgiving but a massive airline strike derailed all our plans. My younger sister and I were so incredibly upset and try as my father might, he couldn't find a way to get her on a flight that day. There was much shouting and screaming and massive meltdowns in our living room that day. To make us feel better, my parents took my sister and I out to get a Happy Meal and then took us to the movies. The only children's movie playing that night? The Nightmare Before Christmas. I don't remember hearing about the film before I saw it but it completely rewrote my brain. I walked out of that theater a changed girl. My mother had found it weird, my sister had been frightened and my father had been bored. Me? I was absolutely enchanted. I loved it more than I had loved any film I had seen in all my eight years, easily surpassing The Little Mermaid, Mary Poppins and The Last Unicorn (my top three movies, according to a diary I kept at the time). It was dark and horrific and scary and wonderful. It spoke to me on a level I'd never encountered before and I was instantly obsessed. Since that fateful day, I have considered the Nightmare Before Christmas to be one of my favorite films of all time. I know all the songs by heart and I can recite whole scenes of dialogue from memory. 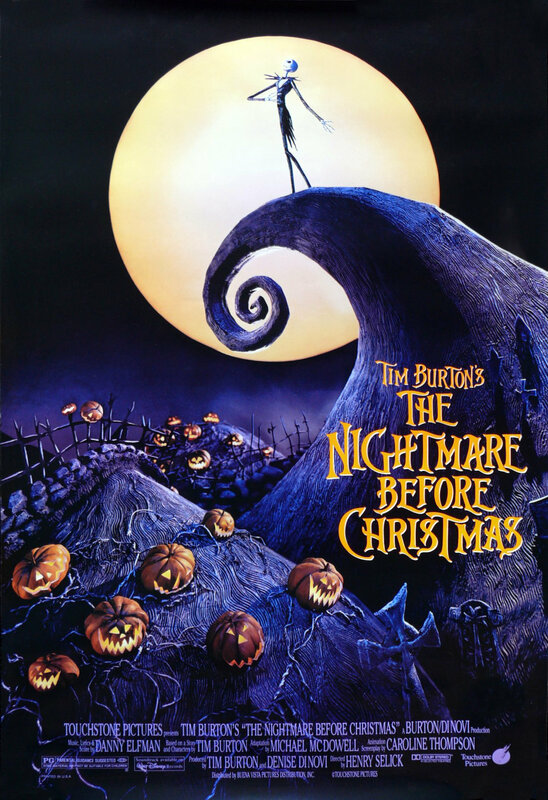 Today, October 29th, is the twentieth anniversary of the Nightmare Before Christmas' theatrical release. 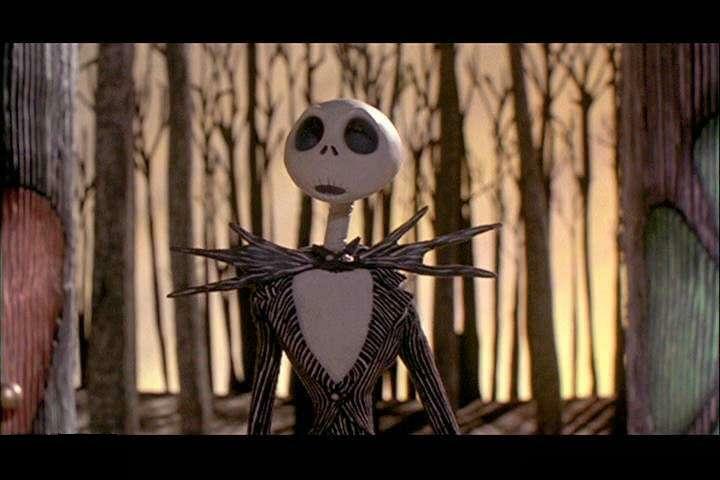 On this day, Tim Burton and Henry Selick unleashed Jack Skellington and the rest of Halloween Town onto an unsuspecting world. It was the first time Jack would wander up that now iconic curved hill in the graveyard and sing about how weary and depressed he was, the first time Sally would lovingly watch him from afar and try to save him from himself. Santa Claus had nothing to fear until Locke, Shock and Barrel turned up at his door. It was dark, brooding and utterly majestic. The juxtaposition of Halloween Town to the bright, snowy Christmas Town was like watching Dorothy step into Oz for the first time; absolutely mindblowing. For whatever reason, the plight of Jack Skellington resonated deeply with me and many others. 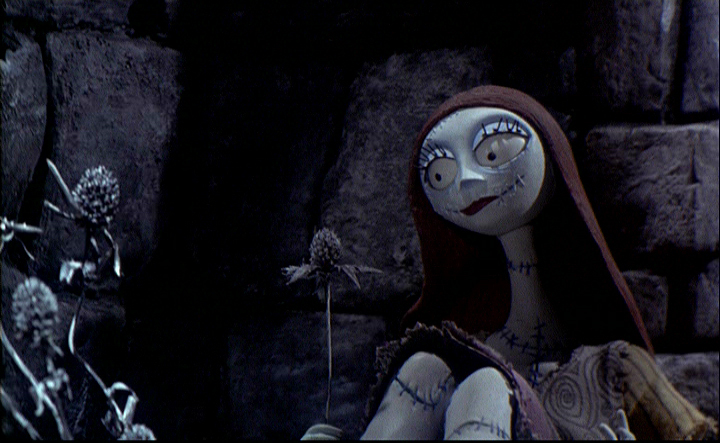 The quirky film has become a classic of the stop motion animation genre and catapulted Tim Burton further into the main stream. I know it's become cool to hate on the film as just another Hot Topic moneygrab, but even the proliferation of merchandise shows how well loved the film still is. As soon as the air gets chilled and the nights grow longer, it's time to non-stop watch the film. I wrap Christmas presents to it while singing "Making Christmas" off key and every holiday season I can reliably say I watch it at least ten times. 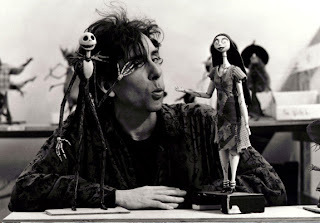 The film was based off a short illustrated poem Tim Burton wrote in 1982. The poem doesn't have a love story and Sally is only visible in a single crowd scene, but the bones of the film are there. 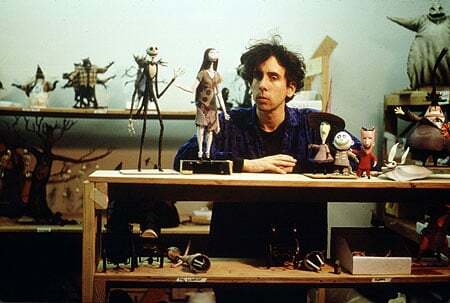 From this, Tim Burton and Henry Selick went on the make the first full length stop motion animation film in history. Burton loved stop motion and used it to make a few short films (including the delightfully deranged short Vincent). He wanted to see how far he could take it. It took 120 artists three years to bring the film to life and it contains 109,440 individual frames. Jack Skellington had over 400 individual heads! Danny Elfman, a longtime friend of Burton, was tapped to compose the music and songs for the film. Elfman also provided the haunting singing voice of Jack himself (Jack's speaking voice is Chris Sarandon, also known as Prince Humperdinck from the Princess Bride!). There was no script when Elfman was composing so he often had to call Burton up and discuss what sort of feel the music should have. Part of the script was changed to accommodate some of Elfman's lyrical choices. Edward Gorey and Charles Addams served as artistic inspirations for the look and feel of Halloween Town. The dark shading, the black and white lines, the curly-q flourishes were all hallmarks of the noted gothic artists. When designing Christmas Town, Burton looked to Dr. Seuss for inspiration in creating a bright, colorful world full of cheer. Disney, who owned the rights to the poem and subsequent film, felt it was much too dark for children and released the film under it's more adult Touchstone imprint. It was only in 2006 that Disney pulled their heads out of their asses and made it an official Disney movie. Despite being a medium that not many had seen before and concerning the angst of a skeleton, the film was a complete hit. The critical reception was incredibly positive. Roger Ebert gave it high praise for being imaginative, spooky and having visual effects that were just as groundbreaking as those seen in Star Wars. Peter Travers of Rolling Stone thought it brought whimsy back into Halloween. The film made 50 million dollars at the box office during it's release, easily earning back the pittance it cost to make and market the film. Tim Burton has been approached by Disney every so often to make a sequel, but he flatly refuses each time. The film is as important to him as it is to the millions of fans it has around the globe. In an interview he said he didn't want to cheapen the film and make a 3-D animated cartoon TV special where Jack goes to Thanksgiving Town (a real suggestion!). He's content with the joy the film has given people and the unique legacy it has earned over the years. The characters are now iconic. Jack Skellington the lonesome, depressed, ennui-ridden Pumpkin King who has grown tired of the sound of screams and Sally, the rebellious ragdoll who loves him and wants to save him. Their romance feels organic and lovely, not shoehorned in like so many movie romances do. At the end of the film you are genuinely happy they have found each other and you want them to have a happily ever after. The villain, Oogie Boogie, is still just as disgusting and weird as he was twenty years ago and I still root for his death each time I watch it. The Nightmare Before Christmas wasn't exactly made with children in mind. Beyond being scary, it's also incredibly adult. Sally basically seduces Oogie Boogie to try and save Santa, she flings herself out a high window to escape her maker and then has to sew herself back together. Jack takes great delight in watching Oogie Boogie die, clearly satisfied in the revenge he's taken. He also gets shot out of the sky with anti-aircraft missiles. Even as a child, I knew what I was watching was way more sophisticated than just another Disney movie. Twenty years later, the film still holds up. I watched it again last evening and was just overjoyed by it all over again. I felt like a delighted eight year old again. Even in moments while I wasn't watching the screen, I could recite the dialogue and sing every song as if they were branded onto my very bones. Someone telling me they haven't seen the film is an immediate revocation of friendship until I force them to sit down and watch it. I, of course, own an insane amount of Nightmare Before Christmas merchandise. It's not hard to see the impact The Nightmare Before Christmas had on my life. I can basically pinpoint it as the reason why I started to read Edgar Allen Poe and why I found spooky things to be great fun instead of generally scary. The monsters who lived in the hall closet were no longer threatening, they were just Halloween Town friends visiting for an evening. I can blame The Nightmare Before Christmas for the books I read, my Edward Gorey obsession, the music I listen to... I doubt anything else has made such a major impact on my life. Thank you, Tim Burton, Henry Selick, Danny Elfman and every single artist who worked on the film. Thank you for everything. Thank you for Jack and Sally, for Zero and the two-faced Mayor, for Doctor Finklestein and Sandy Claws, for every delicate whorl of world building and every beautiful song. Happy birthday, Jack Skellington, and many more. I was an annoying teen when Nightmare was released and I grudgingly accompanied my dad to the theater to see it, because like I said, annoying teen. By the end I was hooked. I loved it. I bought the soundtrack (which had at the end the narrator come back to talk a little about Jack's HEA years later). My kids have grown up watching it. We saw it last night, in fact. We all love it.